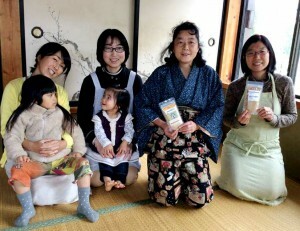 We are working together with women in Guatemala and Japan, and people with disabilities. 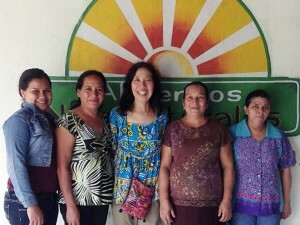 Since very early on, we have had the wish to connect women in Guatemala with women in Japan through the fair trade of Maya nut. 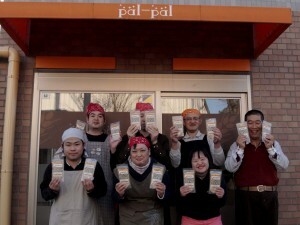 It was realized, we have entrusted to two of working groups with handicapped person and a group of mothers bringing children about producing of baked sweets or packing of them. Alimentos Nutri-Naturales Sociedad Anónima (ANSA) is a production group in Guatemala which was founded in 2005. 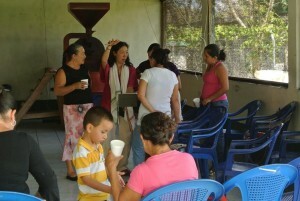 Based in the village of Ixlu, Petén, the group members consist of women from 22 communities. As well as processing and selling of Maya nut, the group is also engaged in trainings on business skills and workshops/programs on nutirion and cooking. In 2007, the group was awarded the Equator Prize which earned them worldwide recongition of the quality and importance of their work. 3 to 4 women work on site throughout the year. During the harvesting season, the number of staff increases to 12 or 13, and 150 to 200 families take part in collecting Maya nut. Most of these women who are Ladinos (Spanish and Mayan mix) only have primary education. They get married early, and being pressed with household duties and raising children, they rarely have the opportunity to go out and work or get in touch with society. These women’s social status is unfortunately still low. By engaging in the processing of Maya nut, they are now participating in society and earning their own income. This is giving them much joy and self-confidence. It was 10 years ago that we first met these women. A little daughter of one member back then has now grown up and become a central member of the group. => Read interviews of the group members here. 2 workplaces for people with disabilities, and a group of mothers with young children are also taking part in the Maya nut initiative. Both are based at the foot of Mt. 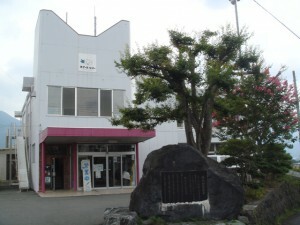 Fuji in Yamanashi Prefecture. It is difficult for mothers with young children to find work. This packing group has been the first step back to work for those women who have spent time away from society while raising children. Working short hours on limited days, the joy they are feeling is more than just the joy of earning income. They share the smiles and self-confidence with the women in Guatemala.